More and more people are using Instagram, the social network of the moment. It has not stopped constantly renewing since Facebook took it over. One of its latest additions has been Instagram Stories, but… Do you know what this new feature is about? What can we use it for? Is it the same as Snapchat? If you want answers to these questions and much more, stay here and we’ll tell you all about it in the next article. 1 Let’s get started, what’s Instagram Stories about? 2 How can we see Instagram Stories published by our friends? 3 Is there privacy in Instagram Stories? 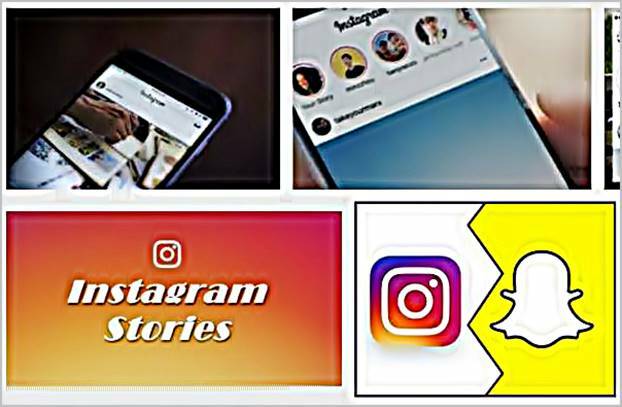 4 Instagram Stories vs Snapchat Are they the same? Let’s get started, what’s Instagram Stories about? The Instagram team recently announced the launch of a new application, which they named Instagram Stories. The most striking thing about it was that users would be able to create short videos, which would disappear 24 hours after they were published. But there was more, users were also going to be able to add stickers, drawings and emojis to make their videos more eye-catching, so to speak. Regarding the option of content disappearing after 24 hours, Instagram developers said that its purpose was to allow users to share informal things about their daily activities. Thanks to this auto-delete function, users don’t have to worry about sharing a lot of information. On the contrary, they can share whatever they want throughout the day and be as creative as they like. In addition, it will be possible to use effects with text and drawing tools, which combined with the possibility of elimination after one day gives more vitality to the story. Videos and photos will disappear after 24 hours, and will no longer be shown in the main section or in the user profile. How can we see Instagram Stories published by our friends? To see the Instagram Stories that our friends make and publish, we just have to give them a touch in their profile picture. If we want to know if there are new stories published, we will check if the profile photos of our contacts have a circle around them, if so, there are recent stories. When we enter Instagram, we can see if anyone has shared stories by looking at the top bar in the main section. We can go through the stories as we see fit. When we enter into someone’s stories, we can move forward or backward by moving our finger, we can also go into the story of another contact. What you do need to know is that you can neither give Like nor comment on Instagram stories. If you’ve thought about saying something, you’ll have to do it through private messages. Is there privacy in Instagram Stories? According to the Instagram development team, our stories have the same privacy settings as our account. If our account is private, only our followers can see it. But, there is also the option of hiding our sequence 100% if we don’t want anyone to see it, even if they are our followers. There are several configuration options available that we can modify according to our tastes. If our account is private and we ask for prior approval before anyone can follow us, they will also need approval to view our Instagram Stories. We can also find out who has seen our stories. And another option, we can decide if we want to publish a specific fragment of the story in our profile. Instagram Stories vs Snapchat Are they the same? 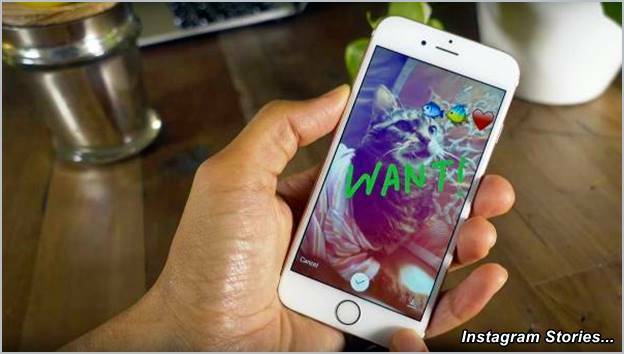 Once Facebook bought Instagram, its developers have not stopped working to add to their creature qualities that already exist in other social networks, and that could become an important competition. For example, this is what happened with the implementation of hashtags in Instagram, before they were exclusive to Twitter, or adding videos, after the success of Vine. Before we go on, if you want, you can watch this video that talks about and compares the two applications. Thus, it can be concluded that Instagram copied the entire Snapchat Stories application, which is based on videos whose main quality is that it guarantees the removal of content published by users after a certain period of time. The duration of the videos in both applications is a maximum of 10 seconds. The stories in both apps come together in a row of small circles. You can add drawings or stickers to the videos created in both applications. The stories that are created in the two apps are removed from the servers after a certain time. What did you think of that? Have you used Instagram Stories yet? You like it, don’t you? Does it look like Snapchat to you? If you feel like expressing your opinion, you know, right down here you can do it in the comments. You’re welcome to come.